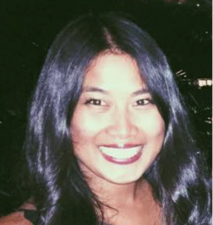 Vanessa Bautista has begun in her new position as Marketing Manager at H2Coco. Previously, Ms Bautista was the Marketing and Promotions Manager at Clarins and has also worked as a Brand Manager at McPhersons Consumer Products. Ms Bautista told C&I that she was looking and ready to make an industry change. “I had been working in prestige beauty and cosmetics over seven years and was ready to take on board something new and exciting,” she said. “I was already a very big supporter of H2coco and purchased the products at Woolworths every week. H2coco always stood out from the other brands and I respect and support the values the company has. It was a meant to be moment. “I have only been in the role for 4 weeks now, however in the short time that I have been here I love being part of a close family culture and I am lucky enough to work with an extremely passionate, driven and high performing team, one that only motivates me to perform at my absolute best. “No day is ever the same here and really does keep you on your toes. As I am also new to the industry, every day or should I say every minute I learn something new, which really excites me and motivates me to bring in what I have learnt and experienced in previous roles to H2coco. I am excited to see what the future will bring to the company and am extremely excited to grow with H2coco,” she said. Congratulations on your new position ! Hope that you really enjoy it.